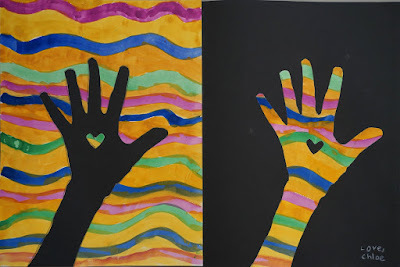 Third graders have been learning about the art concept of positive and negative space and how sometimes the space around and in between an artwork's main subject becomes an important part of the work. 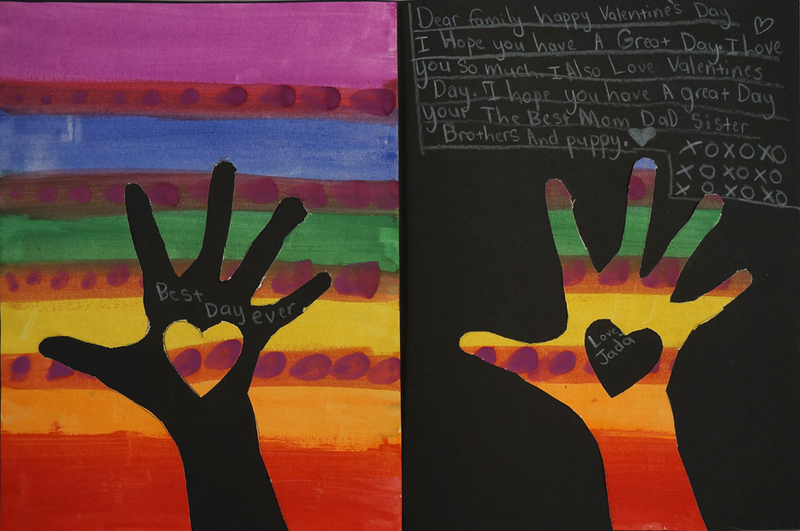 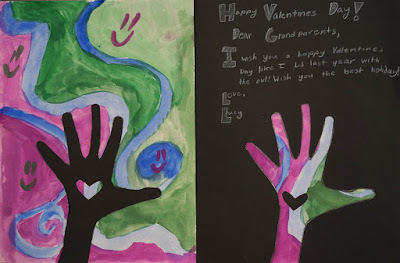 For an example, students created these giant-sized Valentines card by first tracing their hand and painting a colorful design on a 9x12 sheet of drawing paper. In a second session, they cut their hands from the colorful sheet, and I showed them how to fold these and cut a heart from the center of the hands. The colored sheet was then glued to one side of a 12x18 sheet of black construction paper, with the cut out hand glued on the opposite side in the corresponding position. Lastly, the students glued the cut out hearts in the center of their black hands. 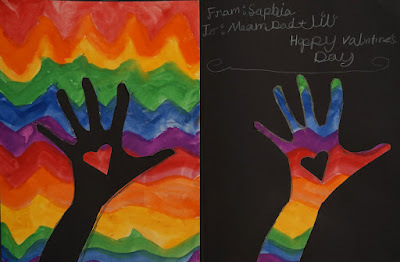 The result is a work where the positive and negative spaces of the art are equally important to the overall effect. Pretty cool!